VIRAL by M.A. Barrett is one of the best books of 2016 and is an absolute MUST READ. This may not be a very professional way to start a book review, but HOLY CRAP!!!! This book is AWESOME!!! Scarlet Battell, an ex-reality television show producer is not only an anti-heroine, but she is a hopelessly flawed and ultimately believable character. Scarlet, or Scar as she is known may have once been an up and coming hotshot tv producer, but now she lives a hardscrabble life as a waitress – barely making enough money to pay the rent on her crappy little apartment. Trying to find some way to reclaim her previous persona and her position behind a camera, Scar comes up with the idea to do a bit of investigative reporting. However, when she is confronted with the choice between intervening to save a coworker from a horrific attack or recording the event as evidence, Scar chooses the more cowardly option. That action (well, inaction actually) begins to haunt Scarlet whose conscience begins to scream at her – eventually leading to an all-out breakdown. This book flashes between two timelines; Scar’s past life as a story producer on the reality show The Real Real Life and her new reality as a waitress struggling just to pay her re t, which is as far away from her old life as it is possible to get. VIRAL is one of the best examples of exactly what to do right when using flashbacks in a story. M.A. Barrett has some serious writing chops and they are used to perfection in this book. The reason I picked this quote as my favorite is because it speaks not only to the book itself, but also to the way people seem to view the world today. The invention of cell phone video, combined with the public’s strange fixation and fascination with reality television is, in my opinion, NOT a good thing. People seem to try to experience their ’15 Minutes of Fame’ through videotaping events (usually they are taping something rather than actually helping the victim). I was raised better than that. This book touches on so many topics relevant to today’s readers that it is almost eerie in its ability to inspire the desire to talk about it with other readership. 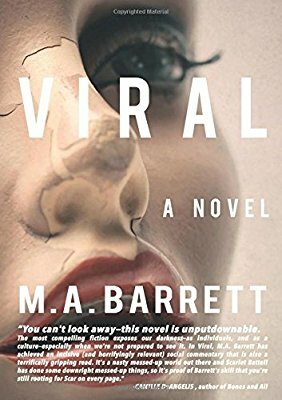 If I could pick any book that I have read in the past year as a Book Club selection, VIRAL would be my choice. * What would you have done in Scar’s situation? Would you have helped if you knew that it would likely have not done any good and would probably have ended up with you becoming a victim as well? I could go on and on with more discussion ideas, but I think you get the point. The character of Scar is brilliantly rendered. She is complex and at times she makes the wrong choices in life. But, this just makes her seem more real. At times readers will find themselves angry with her, but ultimately it is difficult not to cheer her on. This book should be added to every adult’s TO READ list. I will be adding VIRAL to my list of the Top 25 Books of 2016. The fact that this is author M.A. 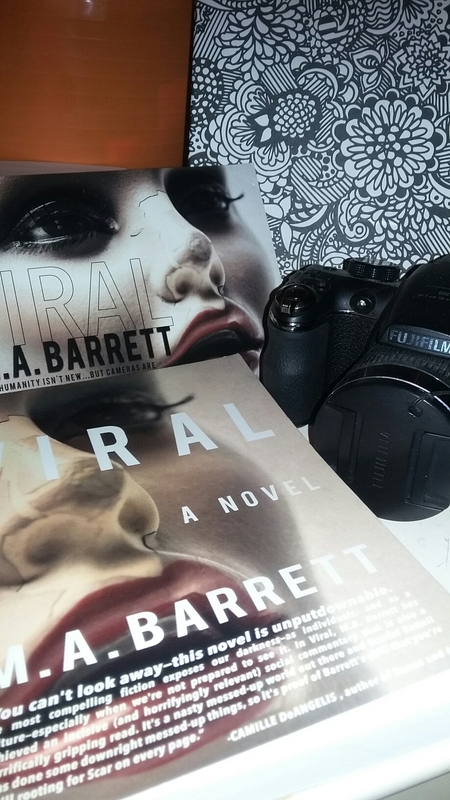 Barrett’s debut novel is astounding and I can’t wait to read her next book. M.A. Barrett is a writer, photographer, screenwriter, and poet. Her works have appeared in the New York International Film Festival, The Academy Awards, and in publications such as the Huffington Post, The April Perennial, Visibilities Magazine and IN OUR OWN WORDS: A Generation Defining Itself. She lives in Boston with her wife and French Bulldog. 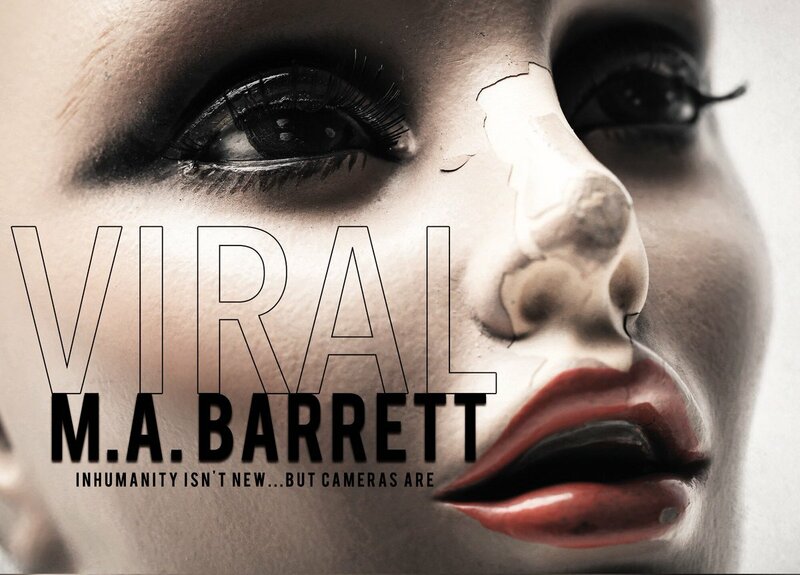 Her debut novel, Viral, is now available anywhere books are sold online.